The text is the second passion prediction of Jesus. The first one ended in Peter attempting to rebuke Jesus and Jesus calling Peter Satan. The point of all these passion predictions has to do with the question “where do you find God?” It is natural to think you find God in the power and the glory – at the top of the mountain. The point of the passion predictions is that God in this world is found most securely on the cross. In out lives, the place we are most likely to find God is not in the mountaintop experience. In fact those mountaintop experiences are often false or even manufactured by the enemy. In our lives the place we find God is in service to our neighbor. 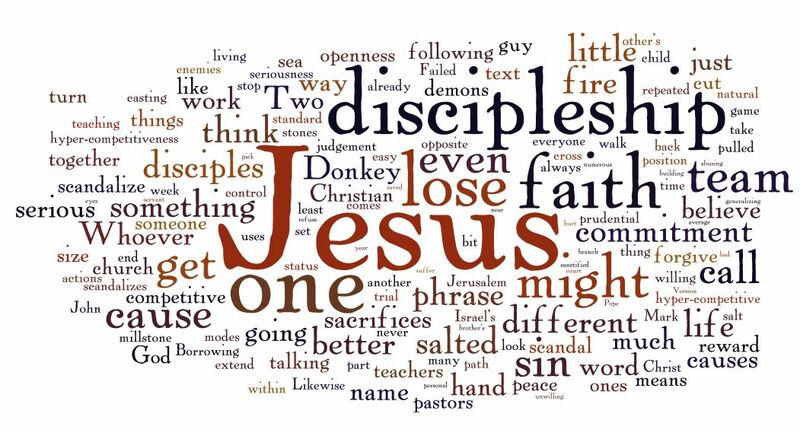 So while the world is obsessed with status, and that is what the disciples are discussing on the road. 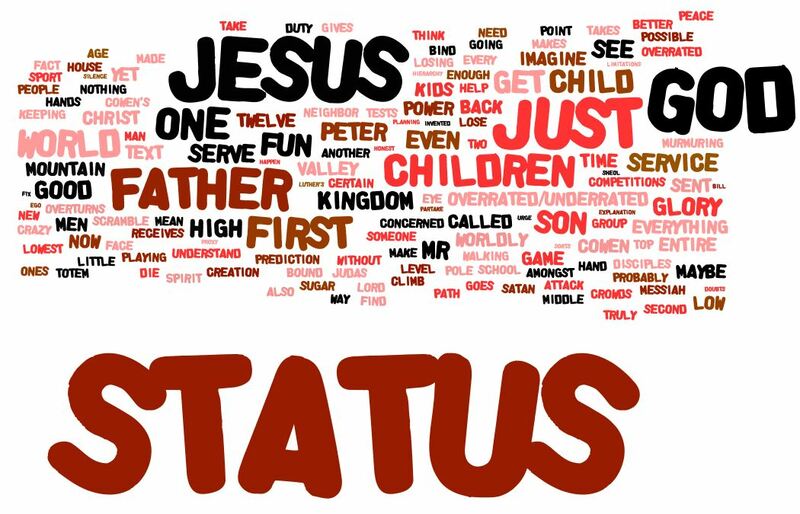 Who has the most status after Jesus? 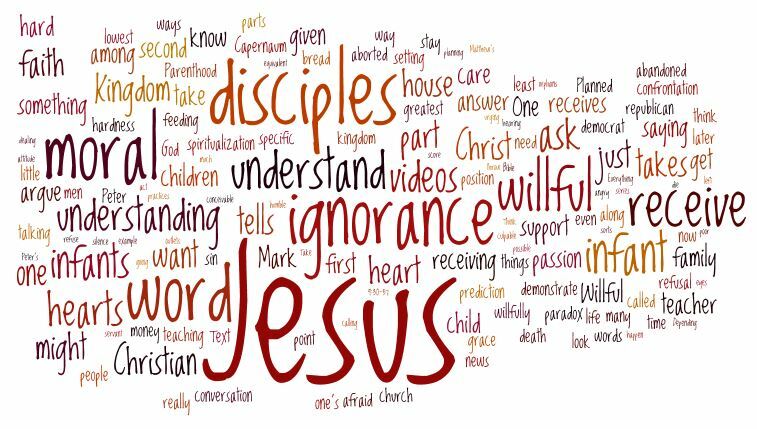 The Kingdom of God abides by a different idea. The idea that our status chase is an unnecessary fear, because the Father watches even the sparrow. The son embraces the least among us. One way to think about meaning in a text is to divide it into different levels. The first and most basic level is the words and grammar themselves. This is a very simple and literal level, but even the most complex text never outgrows the basic words. The second level is the actions (or inactions) that are narrated. A character who lies, and someone who knows it is a lie but goes along, give a scene meaning beyond the simple words. The action of a lie betrays the words themselves and the action of accepting it reveals something about the character whether that is longing, or hurt, or self-loathing, or even a kindness depending upon the social status of the liar and the lied to. I’m sure there are other levels. (I was taught a third level where both the text and the action don’t mean anything more than an expression of the power structure of the writer. This is the standard critical school reading method. The text isn’t the Word of God, but what layers of the dominant folks put into God’s mouth. This can be an interesting window, but it also fundamentally assumes that the writers were either oblivious or nefarious in their intents.) The transfiguration text to me is one that operates on the high difference between the first level of the worlds and the second level of the final deed. 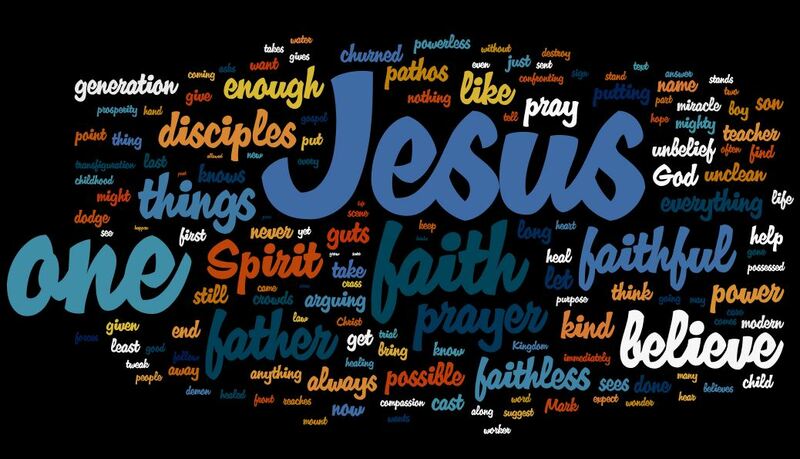 The words themselves detail the magnificence of Jesus as the second person of the Trinity. The deeds are that person turning from the glory and points toward the cross. 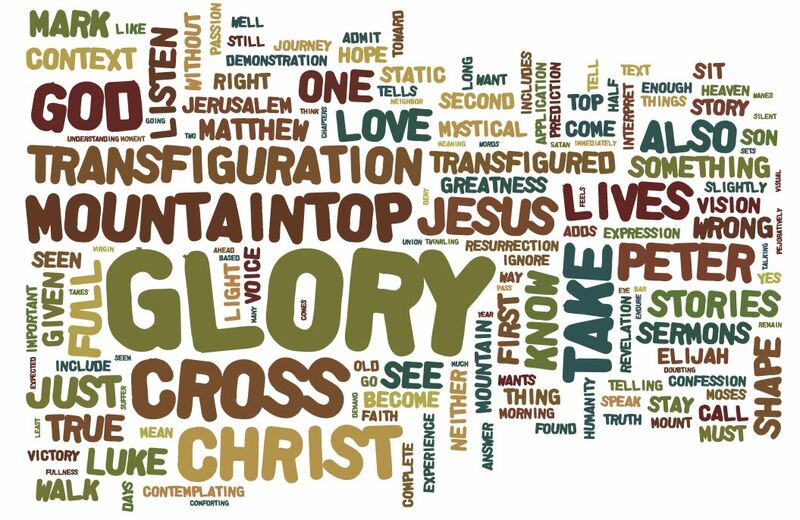 The question is where does glory reside? There is glory with God in the beginning, and that cannot be taken away, but God moves toward Calvary. There is glory in the events of Calvary, but God is not a masochist. Suffering and the cross is not the end. The full shape, which the disciples are told to remain silent until they see it, is glory growing through the cross until the final glory of the resurrection. Transfigured lives are not static lives. Transfigured lives are not lives lived in misery. Transfigured lives are lives made so by the shape of that story. We carry the cross in the hope of the resurrection. We leave comfort, to test and grow faith. We walk in love of our neighbor, because that is what Christ did. That is how we become fully human. That is how we are transfigured. Worship Note: I’ve left in our choir which had a beautiful short piece that our recording equipment caught rather well. I also left in one of the best not just modern hymns, but hymns of all time. I moved it in the recording to after the sermon from it place as hymn of the day. LSB 416, Swiftly Pass the Clouds of Glory. Unfortunately the song is still under copyright, so I’m going to cheat. If your hymnal doesn’t have this hymn, you need a new one. Moses and Elijah vanish; Christ alone commands the height! Downward toward the shadowed valley, where their Lord has fixed his eyes. And our living and our dying and our rising by Your will. This text is the second passion prediction and a unique to Mark saying of Jesus. 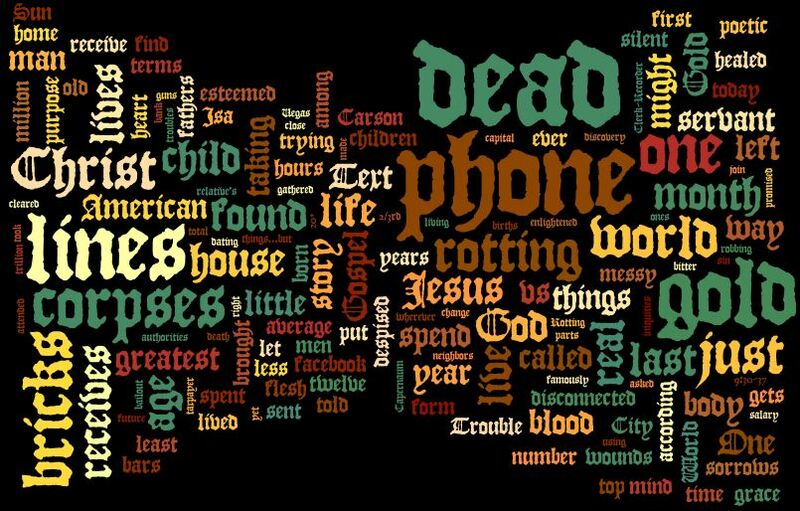 The saying is mirrored a couple of other places in very similar sounding ways, but the setting and the vocabulary of this text are unique. Unique enough to support this sermon. The central theme or problem is what do you call it or what happens when you know the moral path but are afraid. And this is tied to a very specific living example. I would be hard pressed to think of a message more contra the advice of every “grow your church” consultant than this one. 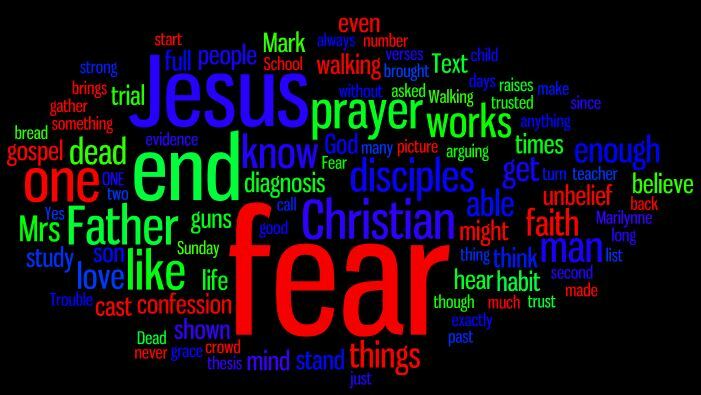 Dependence upon a translation of a Greek word? Check. Pointing out sin and struggles with it? Check. Attempting to say that what feels like failure might be the greatest spiritual good? Check. Resting that spiritual good squarely on faith as proof without an immediate here and now reward? Check. So why the heck would I do that? What I’d like to be able to say is Truth. Our current culture or environment would scorn this statement, but that is what the pulpit is about, proclaiming truth. And it is truth that suffering and failure are part of this life. Our Lord was crucified and betrayed. It is harder to find a more pure case of losing. Either we deal with that, we include space for less than the power and the glory, or we’ve created a false religion that will ultimately lead to despair. The thing is: 1) truth isn’t popular. We’d rather have the pretty lie as long as we can believe it. 2) We aren’t actually that good at discerning truth. Archbishop Cranmer’s formulation holds, “what the heart wants, the will chooses and the mind justifies”. We want a lot of things to be true. I’m sure that many an atheist could say, yeah, like your sky god stuff. But here is the thing, through 3000 years recorded in the Bible, the prophets that are recognized are usually like Jeremiah or Elijah or Jesus – “Father, take this cup from me.” They didn’t want the world as it was, yet that was the truth. And they served truth. They served the Word. Mankind has never wanted to believe that they aren’t God or the measure of everything. Goes all the way back to Eve. 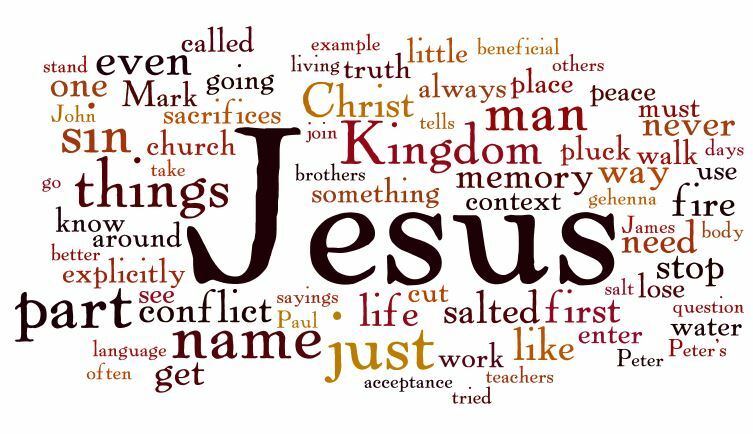 So, Jesus says in today’s text that we will all be salted with fire. Do we watch and prepare, or do hold onto the lie a little longer? Does the watchman proclaim it, or keep silent?